As part of the Helen Wong's Tours ongoing 25th Anniversary celebrations, the leading Asian specialist has unwrapped four hotly-priced deals for travel to China and Vietnam - some discounted to match 2005 prices. And for those who book early, before May 31, 2012, a further $250 per person will be slashed off the price of two of the money-saving deals. "We want everyone to share our Silver Anniversary excitement by saving on the next tour," said Helen Wong, who founded Helen Wong's Tours in Australia in 1987. "It's a significant year for us," she said, "so there's no reason why travellers can't benefit and cash in on a sale as crazy as this one. "Prices on two of the tours - Beijing Bonanza and Shanghai Surprise - are the same as similar tours seven years ago." Book and pay a deposit on either of the 14-day 25th Anniversary Tours to China or the 13-day 25th Anniversary Tour to Vietnam before May 31, 2012, and price will discounted by a further $250 per passenger. "That's $500 a couple," stressed Ms Wong whose company last year passed the 200,000 milestone mark for numbers of Australians to Shanghai. Helen Wong's Tours' 25th Anniversary Tour to China begins with a flight to Shanghai and covers the sights and sounds of canal city Suzhou, ancient Wuzhen, Hangzhou, Xian (home of the Terracotta Warriors) and capital Beijing. The 25th Anniversary Tour to Vietnam begins with a flight to capital Hanoi and covers Hoa Lu, Vietnam's first capital, breathtaking Halong Bay, ancient Hoi An, the religious centre of My Son, Hue, Ho Chi Minh City (Saigon) and Cai Be in the Mekong Delta. All four special tour prices apply to travel in July and August, 2012. Details: Helen Wong's Tours, phone (02) 9267 7833, www.helenwongstours.com; or your travel agent. An Emirates Airlines Airbus A380-800, registration A6-EDQ performing flight EK-384 from Bangkok (Thailand) to Hong Kong (China), landed on Hong Kong's runway 07L at 17:33L (09:33Z) on Apr 7th 2012 and vacated the runway via high speed turn off A7 stopping just past the hold short line with two blown right hand main tyres, the aircraft was disabled. The passengers disembarked onto the taxiway via mobile stairs about one hour after landing. The northern runway 07L/25R was closed for about 4 hours until the aircraft was towed off the taxiway. The runway had been estimated to return to service by 23:30Z (07:30L Apr 8th Hong Kong Time), about 14 hours after landing. 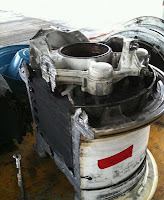 Passengers reported they saw sparks from an engine at the right hand side and noticed a burning smell, the crew quickly announced they had burst tyres. An observer on the ground reported maintenance staff were replacing a number of tyres. Sources at Hong Kong Airport report the aircraft suffered an anti-skid failure on landing resulting in brakes locking and causing two main wheels to be ground down to the axle. The airline reported the aircraft blew two tyres on landing. Traveloscopy has learned that nose gear tyres on A380s are being replaced roughly every 25 landings as opposed to 200 on a B747. Anticipation grows as Oceania Cruises' newest ship, Riviera, nears completion at Fincantieri's Sestri Ponente shipyard near Genoa, Italy. The line's founder and chairman, Frank Del Rio, and the vessel operations team has been on-site for the last two weeks focused on every detail. Among those on hand for the countdown to the May 11, 2012, christening in Barcelona are celebrated interior designers Dakota Jackson and Susan Bednar Long who are putting the finishing touches on the ship's spacious suites. Jacksonis personally supervising the installation of the Vista and Oceania suites, which feature more than 40 custom pieces of furniture and lighting. In addition, a team from Greenwich, CT-based S.B. Long Interiors is overseeing the installation of the ship's three Owner's Suites, each measuring more than 2,000 square feet with furnishings from the acclaimed Ralph Lauren Home Collection. "Riviera looks simply gorgeous and has been custom built to deliver the Oceania Cruises experience to our guests," said Kunal S. Kamlani, president of Oceania Cruises. "A mid-size ship that can access the world's most unique ports, multiple gourmet dining venues and un-matched, personalized service are the hallmarks of our brand." Oceania Cruises' newest entry in the upper-premium category blends the line's signature country club casual atmosphere with the sophisticated elegance of a luxurious private estate. Several one-of-a-kind features distinguish Riviera, including a museum-worthy collection of more than 100 works by some of Latin America's most accomplished and admired contemporary artists; the Bon Appétit Culinary Center, a cooking school at sea offering hands-on learning; La Reserve by Wine Spectator, a professional facility for wine tastings and pairing dinners, as well as 10 dining venues including Jacques, the namesake restaurant of the world-renowned master chef, Jacques Pépin. The ship's gala christening ceremony in Barcelona will be presided over by Riviera's godmother, Cat Cora, who is a master chef, restaurateur, humanitarian, author, and co-host of Bravo's new "Around the World in 80 Plates." Following the inaugural festivities, the ship sails a 10-day Maiden Voyage on May 16 from Venice to Athens. Through November 2012 Riviera will offer 12 distinctive itineraries on a total of 20 Mediterranean voyages, calling on ports in France, Italy, Greece, Spain, Portugal and Turkey as well as Israel, Croatia, Cyprus, Montenegro, Morocco and Monaco, with maiden calls in Cephalonia (Argostoli), Motril (Granada) and La Palma in the Canary Islands. The latest " Explore Your World" offers are out now featuring Riviera, for sales through to 30 June 2012. Contact your preferred wholesaler now for further information. Oceania Cruises® offers unrivaled cuisine, luxurious accommodations, exceptional personalized service and extraordinary value. Award-winning itineraries visit more than 330 ports in Europe, Australia, New Zealand, Asia, and the Americas aboard the 684-guestRegatta, Insignia and Nautica. The line's 1,250-guest Marina debuted in January 2011 and will be followed by Riviera - a sister ship - in May 2012. 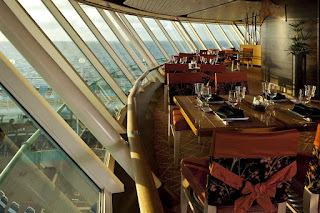 Prestige Cruise Holdings (PCH) is the parent company of Oceania Cruises and Regent Seven Seas Cruises. Formed in 2007 to manage select assets in Apollo Management's cruise investment portfolio, PCH is led by Chairman and CEO Frank Del Rio, the founder of Oceania Cruises. PCH is the market leader in the upper-premium and luxury segments of the cruise industry with nearly 5,200 berths between the Oceania Cruises and Regent Seven Seas Cruises brands, a number the company expects will grow to approximately 6,500 berths by 2012. 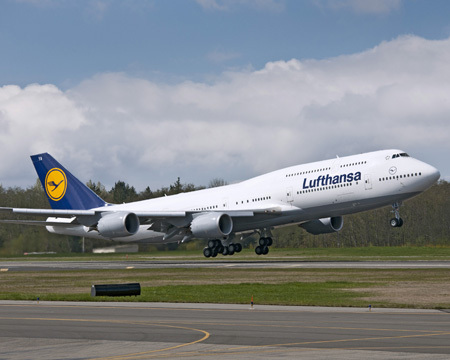 Boeing (NYSE: BA) has delivered the first 747-8 Intercontinental passenger airliner to Deutsche Lufthansa AG, beginning a new era for the world's most recognized airplane, and beginning a new era of increased efficiency, stronger environmental performance and greater enjoyment for Lufthansa and its passengers. On board was a small cabinet carrying four gills (servings) of whisky, a dozen bottles of lager beer, two siphons of sparkling water and twelve assorted bottles of mineral water. 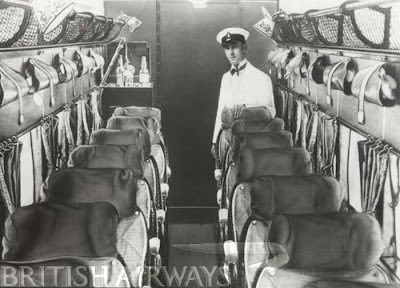 They also carried a packet of sandwiches or biscuits and one or two thermos flasks of hot water, within which the steward made coffee or beef tea to nourish the passengers during the flight. The service represented the height of luxury, up until this time passengers had to fend for themselves, packing homemade snacks for the journey. 85 years on British Airways' cabin crew serve around 100,000 meals a day to customers, often with more than one meal on an individual flight. The airline's 14,000 crew are trained in the art of premium service. They are taught skills which include how to tell a Merlot from a Shiraz, how to cook the perfect scrambled eggs and how to re-create a five star turndown service. 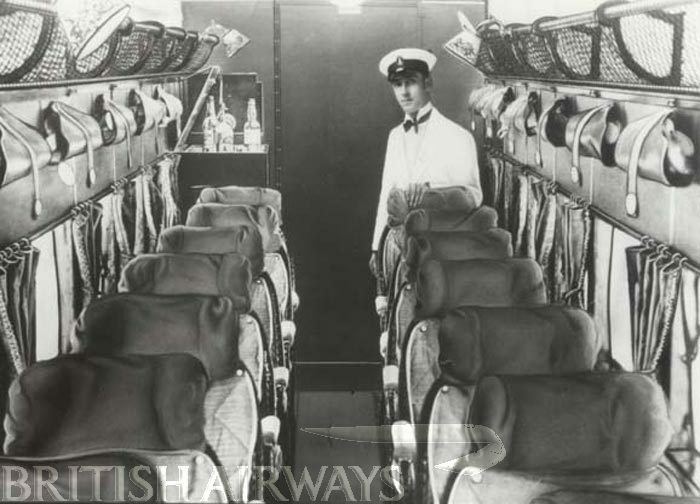 Bill Francis, British Airways' head of inflight service, said: "At British Airways we have an incredible history. We've developed the service to our customers and even as we've grown from small propeller aircraft to 747's, we've managed to maintain the magic that makes flying special." The British Airways Heritage Collection opened in November 2011 at British Airways' head office and is open to members of the public. Information from the collection can also be found online at www.ba.com/heritage. Enjoy Koreastay, Your home away from home! For travellers to Korea wanting to get a first-hand experience of Korean life and culture there is no better way than enjoying a home-stay with a Korean family. 'Koreastay' is a home-stay program certified by Korea Tourism Organization (KTO) which offers international visitors to Korea a special opportunity to experience life with a Korean family. 'Koreastay' host families are carefully selected after undergoing strict assessment of such criteria as residential environment, guestroom and house cleanliness, service and convenience. A home-stay experience allows visitors the chance to experience the authentic Korean way of life including Korean family meals and various traditional customs and cultural activities like family traditions and Korean games etc. 'Koreastay' is a great way to start your trip to Korea while immersing yourself in Korean life and culture. Most host families are located in major cities, close to tourist areas and provide some home cooked meals and various travel information. Starting from US$30 per night rates vary depending on host and location. By visiting the 'Koreastay' webpage on the official KTO website http://english.visitkorea.or.kr/koreastay you can search information on home-stay accommodation by city or region and the suitability of accommodation, reviews and much more. Make your next visit to Korea a real cultural experience rather than staying in a hotel. You may be surprised what you can discover by staying at home with a Korean family and how much more fulfilling your journey to Korea can be. InterContinental Dubai Festival City has re-launched its Club InterContinental offering, providing guests with its most superior, luxury stay option. Club InterContinental guests will benefit from a range of added extras, including airport transfers, food and refreshments served throughout the day, early check-in or late check-out where available and complimentary high speed internet connection, among many others. 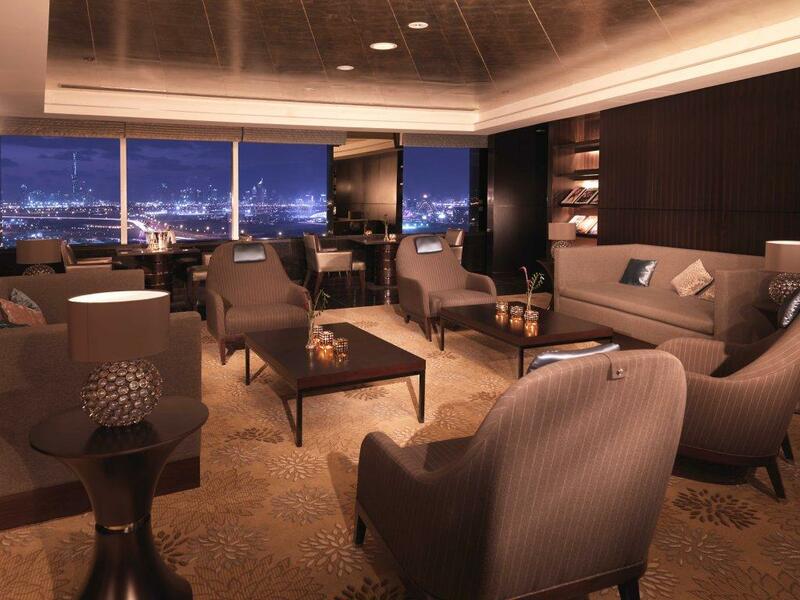 Guests can enjoy complimentary breakfast in the privacy of their own exclusive lounge as the sun rises over the city, indulge in high tea in the late afternoon, followed by an evening buffet and refreshing drinks overlooking Dubai's breathtaking skyline from the 26th floor. Guests can also enjoy complimentary bubbles from 6pm – 8pm, whilst the complimentary suit pressing service on arrival is perfect following a flight before a busy day ahead. Check-in and check-out is very swift and convenient in the Club's own dedicated guest relations area, and an in-room check-in and check-out service is available for those with particularly busy schedules. Flexible express check-out is also available when time is of the essence. Business is made simple with daily complimentary use of the Club boardroom facilities, as well as complimentary WiFi, making sure guests are always connected. Those that stay in one of the hotel's eight luxury signature suites will also benefit from additional deluxe features, including butler service, complimentary daily pick-up and drop-off, in-room floral arrangements and fruit basket, complimentary mini bar, preferential tee-times at Al Badia Golf Club and guaranteed Spa appointments at Spa InterContinental. Tom Lord, hotel manager at InterContinental Dubai Festival City, said: "Club InterContinental is the most premium product that we offer here at the hotel, so right from the point of touchdown at the airport, we promise to deliver only the highest levels of comfort, convenience and personalised service during the guest's entire stay, providing a seamless, unrivalled experience that guests will long remember. "We have listened to our guests and tailored our product and services to suit their needs, wants and requirements, so Club guests can enjoy a supreme level of attention, in superior rooms that have been carefully selected to meet their desires." The new Club InterContinental option is available to book at InterContinental Dubai Festival City now. For room reservations please call +971 (0)4 701 1110. Miss World Bikini parade. How will this effect local Muslim sensibilities? Bali will host the Miss World pageant, one of the oldest major international beauty pageants, next year. Bali governor I Made Mangku Pastika says Denpasar would be the host for the event, following a meeting with a co-chairperson of the Miss World Organisation, Julia Morley. More than 130 beauty queens across the world are expected to take part in the event. "Bali will try to improve herself to get ready ahead of the pageant," Pastika said, quoted by kompas.com. Bali has been the subject of criticism of late for its failure to tackle pollution and traffic congestion. The governor said he hoped that hosting the event would boost Bali’s reputation and tourism sector. Jetstar Japan has taken delivery of its first Airbus A320 aircraft in Toulouse, France. The Japanese carrier will start commercial services in July operating from Narita to Kansai, Fukuoka, Sapporo, and Okinawa with an initial fleet of three aircraft. This fleet will grow to 24 aircraft within three years. Jetstar Japan’s A320s are configured in an all-economy layout with 180 seats. Each aircraft is powered by IAE V2500 engines. “We are extremely happy to take delivery of our brand new Airbus A320. “With its wider seats and more spacious cabin than the competition, we are positioned to provide better value that our customers will appreciate as well as fast turnarounds, which is key to our business model,” said Jetstar Japan president, Miyuki Suzuki. Jetstar Japan, established in 2011, is a joint venture between the Qantas Group, Japan Airlines (JAL), Mitsubishi Corporation and Century Tokyo Leasing Corporation. Jetstar Japan’s Airbus fleet is from an order for 110 A320 Family aircraft placed by the Qantas Group in October 2011. We all want ‘peace of mind’ when travelling overseas but with the world becoming more and more complicated – pirates attacking cruise ships, terrorism, political uprisings and now swine flu – the need to have as many points covered as possible to optimise your security is now more imperative than ever. “People have to, now more than ever, be very aware of where they are going and what they are doing as situations can change dramatically,” Mark McCormack, CEO of Loop9, and developer of the new cutting edge technology Travel Messenger SMS ‘Concierge’ Service, said. McCormack said Travel Messenger, which sends up-to-the-minute SMS security updates to a traveller’s mobile phone (covering over 200 countries and 3000 cities) is vital for 21st century travel security. “To me, it is as necessary as travel insurance – you should not leave home without it”. 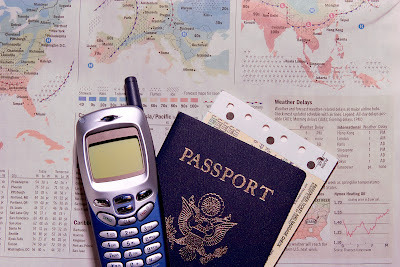 (1) Register on www.Smarttraveller.com.au – the Australian Government’s travel advisory and consular assistance service. It provides up to date advice for travellers on a host of countries. If registered, the government can then contact you if an emergency arises at your destination. It also offers advice on keeping healthy while overseas and what to do if you fall ill.
(3) Travel Insurance – never leave home without it. Lack of travel insurance can ruin a holiday and end up costing the traveller tens of thousands of dollars in medical costs. Go to the website www.insurancecouncil.com.au for all the latest information. Read policy fine print carefully and make sure you are covered for all your varying needs. (4) Photocopy all your travel documents and keep them separate from your originals. Also email all your personal details such as passport number, itinerary, flight details to your own email in case documents are lost/stolen. (5) Sign up to Travel Messenger - www.travelmessenger.com.au - through major travel agencies. “In less than 12 months of operations Travel Messenger SMS technology has proven crucial to the safety of thousands of Australians caught up in dangerous situations overseas – most recently the political turmoil in Bangkok and the terrorist attack in Mumbai,” McCormack said. “We kept travellers constantly updated on the unfolding situations 24/7 with up to the minute travel warnings,” he said. delicious. Magazine and The Byron at Byron Resort and Spa are excited to announce that top chef Martin Boetz of Longrain Sydney and Melbourne will bring his acclaimed Thai cooking to the line-up for the first delicious. weekend away for 2012. Boetz promises to bring energy and colour to the weekend alongside Bangalow based pastry extraordinaire Katrina Kanetani from Town and delicious. food director Valli Little. The three day food and wine extravaganza over the June Long Weekend promises to deliver the best food and hospitality from the Northern Rivers region. The weekend includes a cooking class with the delicious. maestro herself Valli Little, lunch at award winning Newrybar restaurant Harvest, a visit to local farmers' markets and a producer's farm and a gala four course dinner. - Two course dinner in The Byron at Byron Restaurant featuring local produce. Australians are travelling overseas more than ever thanks to the strong dollar, and 68% say they'll spend more overseas while it remains high, according to new Galaxy research commissioned by leading currency specialist OzForex. Certain global destinations are the cheapest they've been for decades, with Europe at the top of the list. Three years ago in April 2009, $1 Australian would buy you 0.55 Euros. Today it buys you 0.79 Euros - an increase of more than 43%. OzForex CEO Neil Helm says it's worth taking advantage of. "From Paris to Berlin, that's a massive jump in your spending power. Travellers can thank a lack of confidence in the Euro as a result of problems in Greece, Spain, Portugal and other European countries for the bump." In second place comes the US, where you get 42% more for your money: three years ago $1 Australian bought 72 US cents, now it buys well over $1 US. The third best value is found in the UK, where the Australian dollar is still up an enormous 33% on the pound. "That still might not make a notorious London latte good value, but it's certainly a great boost for Australians visiting the UK for the Olympics this year," says Neil Helm. Closer to home, Thailand is also excellent value. In 2009, you'd get about 25 baht for your dollar. Today, you'll net about 32 - a rise of almost 24%. But while Australians jet off overseas, the vast majority are still stressing about exchange rates and fees, as well as the security of their money. According to Galaxy, 87% were worried about theft and loss, even though 17% prefer to take cash than cards on holiday. Younger and more frequent travellers also preferred cash. And although 83% worry about transaction costs, the majority still use credit cards when they travel despite the higher fees that these incur. Just 14% use pre-paid multicurrency travel money cards, which are specifically designed as a convenient and safer option for those travelling overseas. "OzForex's new multicurrency Travel Card aims to take the headache out of travel by letting you choose when you want to lock-in exchange rates, you're not at the mercy of the markets," Neil Helm explains. "And because we're a currency specialist, not a bank, we can offer very competitive rates, and we've been able to slash fees. So there's no extra charge for putting money on your card, and it's much more secure than carrying cash." Outbound tourism numbers and expenditure are soaring. Government figures show over 7 million resident outbound departures in 2011 and this is forecast to reach over 10 million by 2020. 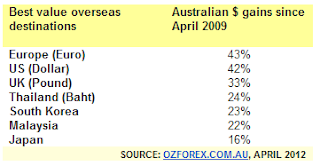 In the September 2011 quarter, net expenditure overseas saw the first positive result in 10 years according to ABS statistics: $254 million more was spent by Australians overseas, than by foreigners in Australia. This is partly due to a fall in tourism, but also to an increase in Australians travelling and spending overseas. Hawaiian Airlines tomorrow will upgrade its service between Hawaii and Australia, with the much-anticipated introduction of Hawaiian's newest and largest aircraft, the 294-seat Airbus A330-200, on daily flights between Honolulu and Sydney. The wide-body Airbus A330s have 30 more seats that the current Boeing 767-300ERs, which have served the Sydney-Honolulu route since May 2004, when Hawaiian entered this market with four weekly nonstop flights. The new aircraft will add nearly 11,000 seats annually. Hawaiian's first A330 to Australia is due to leave Honolulu as flight HA 451 at 11:45am local time on Tuesday, or 09:45am Sydney time on Wednesday. It is scheduled to arrive in Sydney at 7:20pm Wednesday, before returning to Hawaii as flight HA 452. "Travel from Australia to Hawaii is booming," said Sherilyn Robinson, General Manager Sales and Marketing for Hawaiian Airlines in Australia. "Introducing our new A330 aircraft will help meet growing demand and will further improve the travel experience for our customers," Ms Robinson said. "Our new A330s can seat 30 more passengers than the Boeing 767s, which means a capacity increase of 11% per flight, or the equivalent of 41 additional 767 flights in a full year. The Airbuses also have more spacious cabins, and all passengers have in-seat video and games entertainment." The A330 features high-resolution LCD touch-screen monitors installed in each seatback, enabling customers to choose from a wide range of movies, TV programs, music, and video games, while also offering a USB port for the use of their own personal media players. 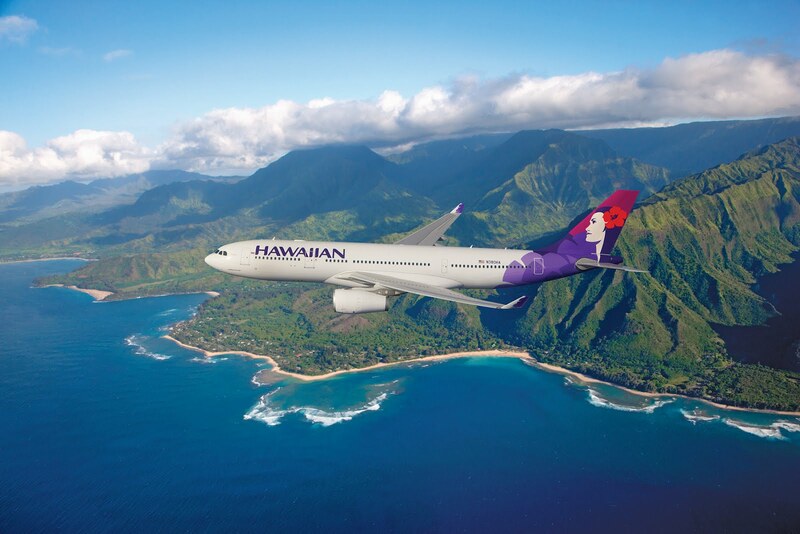 From Honolulu, Hawaiian operates frequent flights to the islands of Maui, Kauai and Hawaii Island, as well as to 10 US mainland cities – Los Angeles, San Francisco, Las Vegas, Seattle, Portland, Sacramento, San Jose, Oakland, San Diego and Phoenix. The growth continues, with daily nonstop flights between Honolulu and New York City commencing on 04 June. Passengers arriving from Sydney can connect in Honolulu with the new NYC services. Through a partnership with Virgin Australia, passengers from 18 destinations around Australia can connect with Hawaiian's nightly flights from Sydney. Passengers can also enjoy Hawaiian's signature "Hawaii Flies With Us" onboard experience which engages customers with a showcase of the culture, people, natural beauty, and Aloha Spirit of the Hawaiian Islands. 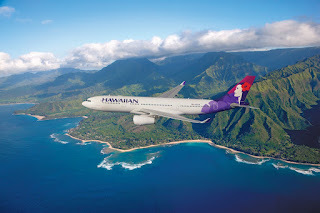 For more information about Hawaiian Airlines or to make a booking contact travel agents, call Hawaiian reservations on 1300 669 106 or visit www.hawaiianairlines.com.au. Park manager Dr Coral Rowston said the visitor centre would become a 'first stop shop' for park visitors and locals, packed with the latest information about the park and Norfolk's natural environment. "This is a milestone for Norfolk - our first purpose-built visitor interpretive centre for the island," Dr Rowston said. "The next stage is to fit out the interior of the centre with contemporary and interactive displays. We're planning to have this finished by the end of the year. "I'm again amazed at the skills and talent of the people who have assisted in getting the construction to this stage. On behalf of Parks Australia, a huge thank you to all involved in delivering this challenging project. When the interior is finished, the centre is going to be a first-class facility supporting tourism on the island." Crosscut Constructions' Brandt McRitchie and Norfolk Island Tourism manager Glenn Buffett, officially cut the ribbon to celebrate completion of the centre's construction last Wednesday. At the same time, the park and BAUNTI ESCAPES launched another innovative product for Nofolk's tourist market - iPod self-guided tours for visitors that prefer to visit the park on their own rather than choose to go on a tour. The iPod tour gives visitors the flexibility to wander the parks trails at their leisure while listening to recorded, informative commentary about the walk, and the plants and birds of Norfolk. This modern twist to guided tours has not been seen on Norfolk Island before and is set to be a huge hit with visitors and locals alike. Anyone wishing to hire out the iPods should see the friendly staff at BAUNTI ESCAPES. According to Tim Clyde-Smith, SAA's Country Manager, Australasia, Maun is the gateway to the Okavango Delta, a 15,000 square-kilometre area of swamp and water that is the world's largest inland delta and also the world's largest oasis. "The Okavango Delta lies in northern Botswana on the north-eastern edge of the Kalahari Desert, and is close to the border with the Caprivi Strip panhandle in eastern Namibia," Tim said. "Botswana is increasingly popular with Australians who are looking for a different travel experience in a region teaming with wildlife. Now, with direct services to the Delta, they can reach it in just one stop from Australia," he said. The Delta's combination of lush wetland lying next to arid dry country makes it one of the world's most unique places to see game, in terms of the variety of dry-land and wetland species that co-exist in near proximity. Low-ecological-impact tourist camps and lodges are dotted throughout the area catering to group and individual safari visits. SAA's service to Maun Airport (IATA code MUB) will be operated by its regional partner South African Airlink with 37-seat Embraer ERJ-135 regional jets. SA operates eight 37-seat Embraer ERJ135LR regional jets, as well as eight 83-seat Avro RJ85s and 13 29-seat BAE Systems Jetstream 4100 turboprops. The Civil Aviation Authority of Botswana recently made a decision to allow increased flights into the country, meaning SAA can commence the new service in addition to its existing flights to Gabarone, the capital city. The schedule for the new daily Johannesburg-Maun service will see flight SA 8300 departing Johannesburg's OR Tambo International Airport (JNB) at 11:45 am, arriving at MUB at 1:15 pm. In the other direction, flight SA 8301 will leave MUB at 2:00 pm and reach JNB at 3:40 pm. "SAA's new service to Maun opens up a new and much more convenient way to access one of Botswana's most popular safari destinations through our partners at Airlink," Tim Clyde-Smith said. Club Med Sahoro in Japan, has come out tops in the hotel rankings in Asia, in the latest ratings by TripAdvisor; and as the awards are judged by ratings given by those who have actually travelled with their family, this award is highly coveted. Millions of reviews, opinions, pictures and replies are posted each year on the website, that is now regarded as one of the most reliable and up-to-date ways to critically examine all aspects of a resort before booking for travel. As posts are from travellers all around the world, the reviews are seen as multicultural - reflected from the many different angles such as country of origin, customs, gender, culture and taste preferences – therefore Club Med's win is seen as a global pat on the back for its famous team of multicultural GO's (staff) and its signature gourmet buffets that they are renowned for, when staying at one of its 4 & 5 Trident Resorts, at 80 locations around the globe. The move upscale in the past 4 years, to a minimum of 4 or 5 Trident has proven very successful for the Company, and the growth in business results are proving that move was timely and well planned. 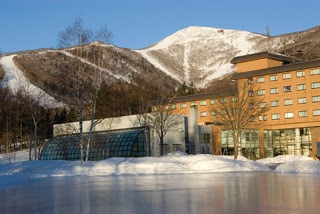 "Sahoro is Club Med's all-inclusive Ski Resort on the Island of Hokkaido, Japan, and features some of the best quality powder snow which can be enjoyed by both beginners and skilled skiers alike. The Resort also offers many other off-piste activities such as horse-riding in the snow, snow-shoeing, a raft of indoor activities and leisure facilities such as heated indoor pool and outdoor jaccuzi in the most picture-perfect setting imaginable," says Quentin Briard, General Manager, Club Med Australia. 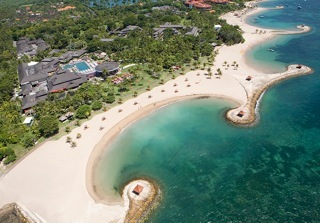 Club Med Bintan Island (Indonesia – a 45min ferry ride from Singapore) came in first for Indonesia, with the ever-popular Bali Resort in the protected Nusa Dua green precinct, ranking 4th for the country. "Club Med welcomes families and makes them feel at home, and that children are truly treasured. Parents have time to themselves as the children have so many activities to enjoy, and such a huge team of staff to keep a good eye on them, that some parents say it is truly the only holiday "with" the family they have ever experienced. Once they come, they come back – time and time again," Quentin Briard continues. "Travellers looking to plan their family trips need not look any further with these highly-rated family-friendly properties. They are great vacation and accommodation ideas by those who really matter -- travellers themselves," said Jean Ow-Yeong, a spokesperson for TripAdvisor. The phrase "less is more" has become a truism of sorts, and it's certainly proving to be accurate for Tauck and the small group departures it offers on selected itineraries. Over the past several years, these special departures, with an average of 20-24 guests, (vs. 38-40 on regular departures of the same Tauck journeys) have been enjoying incredible growth while earning high marks from Tauck customers. Tauck has been increasing its small group business by adding additional dates to itineraries where it had already featured the small groups option, and by expanding the number of different Tauck trips on which small group departures are offered. For 2012, the company will operate over 230 small group departures spread among 46 different Tauck itineraries worldwide. "Over the past three years we've dramatically boosted the number of small group departures we've offered, and our guests have responded," said Tauck CEO Dan Mahar. "On average, in each of the past three years we've seen our small group bookings increase by more than 40% over the prior year. Our small group bookings are growing faster than any destination or region, or any other segment of our business." Tauck is also serving the small group market with its collection of Culturious journeys. Launched in 2009, the Culturious trips feature smaller group sizes on every departure (averaging 16-20 travellers). The Culturious itineraries also provide an immersive, in-depth experience within a focused geographic area (such as Tuscany or Provence), and feature, active, hands-on components ranging from cycling and hiking to cooking classes. P&O Cruises has added exotic Papua New Guinea to its great range of Pacific destinations, with the cruise line announcing new cruises visiting the remote islands and towns of spectacular Milne Bay. 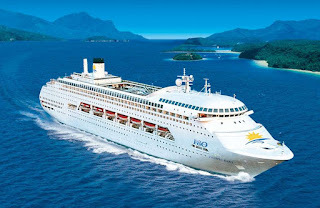 In a first for P&O Cruises, Papua New Guinea will feature in two dedicated itineraries, with Pacific Dawn sailing from Brisbane to the turquoise waters of Milne Bay, where it will visit the local capital Alotau as well as the beautiful white sand beaches of Doini Island and the culturally-rich Trobriand Islands, also known as the Islands of Love, along the northern straits of the Bay. A highlight of the new 2013-14 program, the Papua New Guinea sailings are priced from $1049* per person quad share for a nine-night cruise, with the maiden cruise to Milne Bay in October 2013 timed to coincide with the sacred Canoe and Kundu Festival where local communities compete in canoe races, costume display and cultural performances. Ann Sherry, CEO of Carnival Australia, which operates P&O Cruises, said the cruise line was excited to be sailing its first dedicated cruises to Papua New Guinea on a superliner. "Papua New Guinea is one of the most remote and untouched corners of the world - it's so close to Australia geographically, but a million miles away in terms of culture and scenery," Ms Sherry said. "We're very excited to be able to take Australian holidaymakers from their doorstep and show them this region from the comfort of a superliner for the first time - cruising really is the perfect way to explore Papua New Guinea's idyllic beaches and scenery and discover its ancient customs and history." The new 2013-14 program, on sale from April 23, features 73 departures across 22 different itineraries with Pacific Dawn sailing from Brisbane and Pacific Jewel and Pacific Pearl cruising from Sydney. Other highlights of the program include more weekend getaways and short breaks ranging from three to six-nights. In all, the program offers 21 cruises of less than a week with itineraries based around lifestyle themes as well as Melbourne Cup and Australia Day cruises. The short break cruises start from $529* per person quad share for a three-night cruise from Sydney. 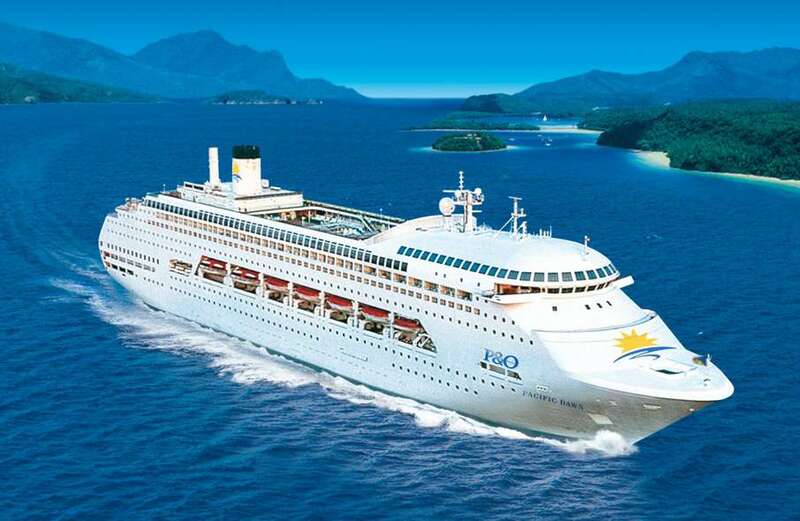 Meanwhile the cruise line's trademark Pacific Islands cruises start from $699* per person quad share for a seven-night cruise from Brisbane and $1099* for nine-night itineraries from Sydney. Macau has become a hot holiday destination for Australians with a forecast that this trend will continue throughout 2012. In the first three months of this year, the number of Australians visiting the popular Asian centre has increased by more than 15 per cent compared with the same period in 2011. 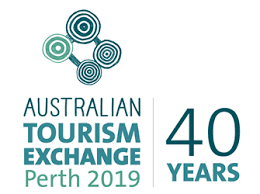 In March alone, the number of Australian guests grew from 8343 in 2011 to 9994 this year, a startling rise of almost 20 per cent. So far in 2012, 31,731 Australians have taken a holiday in Macau compared with 27,537 during the same period last year. In 2011, almost 112,000 made the trip to the former Portuguese enclave. "Judging by these early figures we should eclipse that mark in 2012," said a jubilant Helen Wong, general manager of the Macau Government Tourist Office in Australia and New Zealand. "New attractions, new world class entertainment, new shopping centres, new exciting activities and additional good quality international hotels are all playing key roles in attracting Australians," she said. "Couple these features with a solid marketing plan in Australia and a healthy Australian dollar and we can look forward to even better times ahead. "There's little doubt such promotions as last year's Macau Festival in Sydney's Darling Harbour helped to not only bring awareness of Macau to Australians but to also highlight its many star attractions such as the UNESCO World Heritage sites as well as the new additions." Among the new attractions for 2012 is the recently-opened US$4.4-billion Sands Cotai Central's (first phase), which included the 636-room Conrad hotel as well as the 1224-room Holiday Inn, each hotel the world's largest in the brands. Overall, a record 28 million visited Macau from around the world in 2011. In the first three months, an extra 7.95 per cent visited compared with the same months last year. Compagnie du Ponant's mega yacht, L'Austral, visited Australian waters for the first time with Travel the World offering more than 20 agents the chance to sail onboard. Travel the World conducted numerous ship inspections in Northern Queensland and Darwin whilst hosting client lunches onboard in conjunction with Louis Vuitton, Paspaley and Callaway Golf. The overwhelming feedback from those lucky enough to have experienced the ship was that the French have brought a new sophistication and elegance to cruising. Compagnie du Ponant will be launching a third sister ship next year and are planning to bring the ship to Australian waters in 2013. "Ponant's latest mega-yacht, L'Austral, sets an exceptionally high standard in both luxury and eco-friendliness, combining sleek lines with ultra-chic décor. This is 5-star expedition cruising. It feels like you are on your own private yacht." Phil Hoffmann, Managing Director, Phil Hoffmann Travel. Royal Caribbean International has announced that Liberty of the Seas, Navigator of the Seas and Serenade of the Seas will join Independence of the Seas and Adventure of the Seas in 2013, to offer the culture, history, delectable food and hard-to-resist retail opportunities that Europe has to offer. This latest deployment opening offers 121 sailings on 25 itineraries, calling at 30 beautiful ports. Royal Caribbean's 2013 Europe cruise offerings already feature five of the world's largest and most innovative cruise ships, sailing to the must-see destinations that make an exciting and enriching Europe holiday. Royal Caribbean's 2013 Europe cruises and Cruisetours are open for booking, with additional deployments in the region to be announced later in the month. "Royal Caribbean is the perfect choice for couples and families to experience and share all the wonders, flavours and colours of Europe," said Betsy O'Rourke, senior vice president of Marketing for Royal Caribbean International. "Coupled with our renowned friendly and engaging Gold Anchor Service from every member of staff and crew, these ships offer holiday makers features and facilities that other operators do not, such as the DreamWorks Experience aboard Liberty of the Seas, a real ice-skating rink featuring breathtaking shows aboard Navigator of the Seas, and even self-levelling pool tables aboard Serenade of the Seas. In fact, Royal Caribbean will be the only cruise line in Europe to feature Madagascar 3 in 3-D aboard Liberty of the Seas, making it the perfect option for families." A series of five-night, Western Mediterranean cruises with calls in France and Italy. Seven-night Western Mediterranean itineraries, departing every Sunday, which call at exciting ports on the French and Italian rivieras, including Provence (Toulon) and Nice (Villefranche), France; and Italy's Florence/Pisa (Livorno), Rome (Civitavecchia), and Naples. Guests can also choose to embark on a seven-night cruise aboard Liberty of the Seas at Provence (Toulon) or Naples. Called interporting, the option offers cruisers the flexibility of boarding at a secondary embarkation port. Sicily (Messina), Italy; Ephesus (Kusadasi), Turkey; and Athens (Pireus) and Chania (Souda), Crete, in Greece. Guests can also choose to embark their seven-night Eastern Mediterranean cruise roundtrip from Sicily. 12-night Mediterranean Greek Isle cruises featuring calls in Cannes, France; Italian cities of Florence/Pisa (Livorno), Rome (Civitavecchia), and Naples (Salerno); Greek ports of Athens (Piraeus) and Santorini; and Ephesus (Kusadasi), Turkey. 12-night Mediterranean Venice itineraries featuring an overnight call in Venice, as well as calls in Florence/Pisa (Livorno), Rome (Civitavecchia), Naples, and Ravenna, Italy, and a call at Cannes, France, or Monte Carlo, Monaco. Navigator of the Seas – Prices for a 7-nights Eastern Mediterranean cruise sailing on 8 September 2013 start from $865 per person, with calls at Sicily (Messina), Italy; Ephesus (Kusadasi), Turkey; and Athens (Pireus) and Chania (Souda), Crete, in Greece. Liberty of the Seas – A 7-night Western Mediterranean cruise sailing on 22 September 2013, starts from $1035 per person, which call at exciting ports on the French and Italian rivieras. 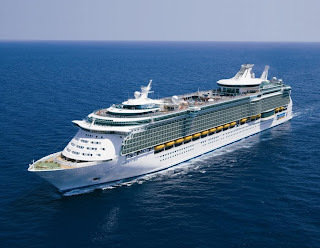 Serenade of the Seas – Fares for a 12-night Mediterranean Venice cruise sailing on 22 October 2013 start from $1315 per person, including an overnight call in Venice. Prices are per person in Australian dollars based on twin occupancy and include taxes, fees (which are subject to change) and onboard gratuities. As the only ship in Europe to offer the DreamWorks Experience, as well as featuring the first-run Madagascar 3 in 3-D, Liberty of the Seas will also delight guests with onboard entertainment featuring the lovable and irreverent characters from DreamWorks Animation's popular films. Shrek and Fiona, Alex the lion, Po the Dragon Warrior and many more characters join in daily to greet guests, offer photo opportunities and lead themed-activities with kids and the young-at-heart. Guests can also catch a DreamWorks Animation's films in 3-D thanks to Liberty of the Seas' onboard 3-D cinema. Royal Caribbean International also offers a range of Cruisetour options so guests can experience the not-to-be-missed destinations that lie inland in Spain and Italy. Royal Caribbean Cruisetours combine a cruise aboard one of their innovative ships with a land tour itinerary. Royal Caribbean Cruisetours are escorted by regional Adventure Specialists who take guests to the best attractions to see and the right places to eat so they can get the most of their Europe holiday. Guests stay in premium hotels and enjoy a stress-free experience where Royal Caribbean makes all the arrangements including transportation, activities and select meals. Guests can choose a five-night Venice, Florence & Rome Cruisetour, which features tours of the must-see attractions in the three cities followed by a sailing aboard Navigator of the Seas, or a four-night Madrid & Barcelona Cruisetour, which is coupled with a sailing aboard Serenade of the Seas. 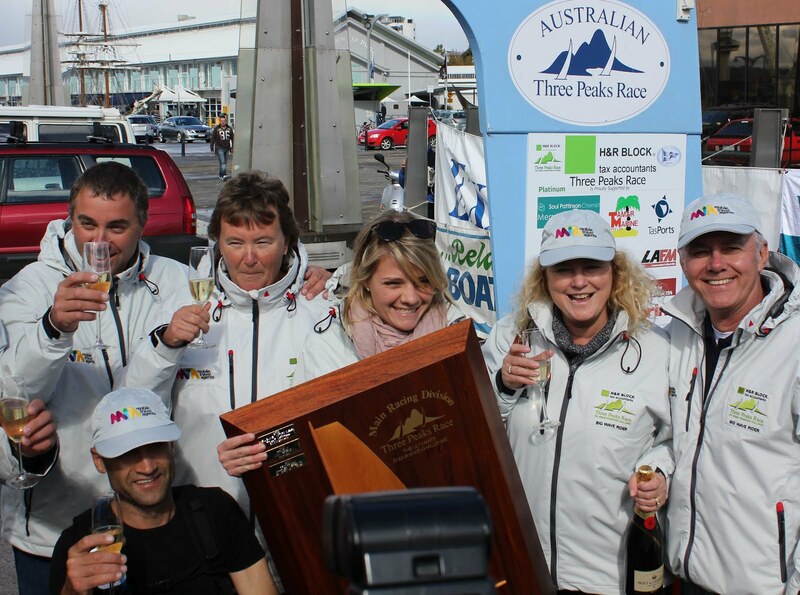 The MTA – Mobile Travel Agents' sponsored 'Mobile Travel Agents Big Wave Rider' has taken out line honours in the 2012 H&R Block Three Peaks Endurance Race held in Tasmania over the Easter weekend. MTA's brand ambassador Jessica Watson was actually at the helm as the 46' catamaran, skippered by fellow Australian sailing legend Bruce Arms, crossed the finish line in Hobart on Easter Monday, four days after leaving the start point in Launceston on Good Friday. MTA Managing Directors, Roy Merricks was also directly involved in the event - albeit on a dry land basis - with organisers inviting him to fire the 10-minute gun at Inspection Head Wharf in Launceston which traditionally marks the official count-down to the start of the race. Mr Merricks said he was immensely proud to see 'Mobile Travel Agents Big Wave Rider' cross the finish line with Jessica at the helm. "But it was a very close run thing," Mr Merricks said. "Coming into the final stages of the race, when 'Mobile Travel Agents Big Wave Rider' failed to negotiate the Denison Canal before the compulsory closure at midnight on Sunday night, it looked like they had thrown their lead and the chance for victory. "Strong winds funnelling through the canal combined with an outgoing tidal flow prevented the crew from rowing through into Norfolk Bay but after taking the opportunity for a sleep, they got underway just before 4am when the canal bridge re-opened – and that's when disaster nearly struck. "The yacht had only managed to travel a few hundred metres before going up on a bank which forced skipper Bruce Arms and crewman Lachlan Pryor to jump into the water with ropes to drag the 46' catamaran clear of the shallows while Jessica steered." Mr Merricks said the crew's action in manhandling 'Mobile Travel Agents Big Wave Rider' off the bank proved the decisive move for victory. "Spurred on by 27 knot winds, 'Mobile Travel Agents Big Wave Rider' rounded the Iron Pot into the Derwent River, powering to the finish line an hour ahead of its nearest rival – a fantastic moment for all involved," he said. Mr Merricks said that MTA's and Jessica's involvement in the 2012 H&R Block Australian Three Peaks Endurance Race was just one of several exciting projects the company has planned with her across the year. Sponsored this year by H&R Block, the annual Three Peaks Race is a non-stop offshore sailing and endurance mountain running event, commencing at Beauty Point just north of Launceston on the Tamar River and finishing in Hobart on the Derwent River. En route, the running members of each team have to scale Mount Strzelecki, Mount Freycinet and Mount Wellington. The 2012 event has been described as one of the toughest in the history of the event with competitors forced to take shelter from rough seas and strong winds on several occasions. Pictured enjoying a champagne moment after winning the 2012 H&R Block Three Peaks Endurance Race (back row from left to right) Bruce Arms, crew member Suzanne Arms, Jessica Watson, Karen Merricks, Roy Merricks. Front: One of the two runners Andrew Kromar. Out of shot: Lachlan Pryor (sailor), John Kent (runner). There are makeovers and then, there are Makeovers. As she gracefully sailed out of Singapore's Sembawang shipyard, Royal Caribbean's Rhapsody of the Seas showed off the results of her four-week long drydock. In the largest project of its kind to take place in Singapore – and one of the biggest ever makeovers for an Australian cruise ship – US$54 million dollars worth of spectacular features were added in a complete revamp of the entire ship. At a champagne ceremony held in the ship's new-look atrium Captain Rick Sullivan invited one of the ship's most frequent guests, Alan Worrall, to cut a ribbon to mark the rebirth of Rhapsody of the Seas. Mr Worrall is the ship's biggest Australian fan with almost 50 cruises taken on her to date. According to Gavin Smith, managing director of RCL Cruises Australia, Rhapsody of the Seas' revitalisation is further proof of Royal Caribbean's commitment to the growing Australia cruise market, with the total investment of revitalising Australia-based Rhapsody of the Seas and Radiance of the Seas amounting to over US$75 million in the last two years. "With Rhapsody of the Seas we thought about all the innovative ways we can give Australians the best and most memorable holiday at sea. Now guests can enjoy a different dining option for every day of the week, they can be entertained under the stars in the open-air cinema or in the heart of the ship, when the atrium comes alive as a vertical theatre with breathtaking aerial shows, or they can choose to simply relax in any of the chic new lounges and bars. We're also introducing some 'firsts' to Australian waters, such as iPads in every stateroom and a Starbucks coffee shop. "With this complete bow-to-stern makeover, guests will be sailing on a virtually new ship. I strongly encourage Australians, including some of her 175,000 past guests, to revisit one of Australia's favourite ships," said Mr Smith. The revitalisation incorporates popular elements from Royal Caribbean's newest ships –the world's largest superliners Oasis of the Seas and Allure of the Seas. Rhapsody of the Seas is only the third ship to undergo a refurbishment since Royal Caribbean's fleet-wide 'revitalisation' program was announced last year and follows in the footsteps of her fellow Sydney-based sister ship Radiance of the Seas, which was fully revitalised in May 2011 in advance of her maiden Australian season. Both revitalised ships will return to Sydney in October this year and will also be joined by Voyager of the Seas – the largest megaliner ever based Down Under – with an unprecedented three Royal Caribbean ships offering a series of one to 18-night cruises around Australia, New Zealand and the South Pacific. Virgin Australia has just announced an agreement with Skywest Airlines Ltd under which it will make an $8 million investment by way of a "convertible debt instrument" and warrants which together equate to a 10% stake in the Perth-based carrier. The move expands the existing strong relationship between the airlines, which includes the wet-lease agreement under which Skywest operates Virgin Australia branded ATR aircraft on a number of East Coast routes, as well as joint marketing of charter and scheduled operations to the resources industry. "This investment highlights the confidence that Virgin Australia has in the Skywest business and our ability to tap into future growth opportunities the Australia regional market," said Skywest executive chairman, Jeff Chatfield. 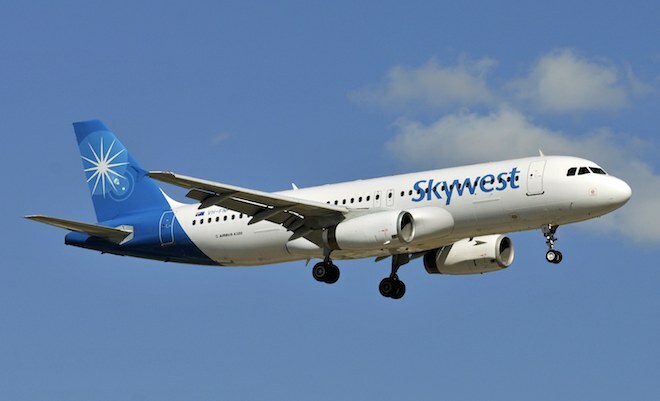 The proceeds of the investment will be used by Skywest "for general corporate purposes and to support its growth," a Skywest statement said. NADI (04 April 2012) –The sun is shining, visitors are enjoying the weather, and Fiji's tourism industry is back in full swing. Major resorts and hotels are open and Air Pacific, Fiji's national airline, and all other major airlines are servicing the destination. Pacific Sun, which operated domestic flights throughout the week between Suva and Nadi, has now resumed flights to Fiji's outer islands. At Port Denarau, inter-island cruise and ferry services to the Mamanuca and Yasawa Islands are fully operational. Roads and bridges from Nadi International Airport to Denarau and the Coral Coast are also passable. Any remaining road and bridge issues are being addressed and expected to be resolved over the next few days. The risk of flooding has now completely cleared in the main tourism corridors and any residual floodwaters in the non-resort areas, such as Ba and Rakiraki, are receding and expected to return to normal levels in short time. is popular with airlines in Asia's developing nations. China is to donate two aircraft to Tonga to improve domestic air travel. The planes, a 17-seater and another carrying 52 passengers, will be built in China at a cost of 20 million US dollars. Radio Tonga reports the deputy prime minister, Samiu Vaipulu, as saying the planes will connect Ha’apai, Vava’u, Niuatoputapu and ’Eua. The Deputy Prime Minister, Hon. Samiu Vaipulu says that “one of the planes is a Y-12 which can carry 17 passengers. The other aircraft is a MA-60 and can carry 52 passengers. He says pilots, engineers, stewards and other staff will be recruited, and a training programme start as soon as the new planes arrive in Tonga. China will provide maintenance expertise for the first three years of the planes flying in Tonga. NADI (03 April 2012) – Fiji's tourism has quickly returned to "business as usual," with the Fiji Hotel & Tourism Association reporting that most major resorts and hotels have already resumed full operations in time to welcome international guests for a busy and beautiful Easter holiday in Fiji. "As regular visitors to Fiji know, the country is extremely resilient and once storms or rains pass, Fiji is back to normal in a matter of days," said Fijian Permanent Secretary Ms. Elizabeth Powell. Cyclone Daphne, and its associated winds and rain have passed Fiji by, and weather in Fiji is improving on an hourly basis. Following the weekend's flooding, major hotels and resorts have reported damage only to some vegetation. However, non-resort areas in some parts of the country, such as Ba and Rakiraki, are still recovering. Air Pacific, Fiji's National Airline, continues to operate, as it did every day during the rains and flooding, during which it was able to fly more than 3,000 people out of Fiji. All other major airlines have also now resumed flights and are carrying passengers to and from Fiji. Pacific Sun, Fiji's domestic airline operated flights throughout the past weekend between Suva and Nadi, and it has now resumed some flights to Fiji's outer islands. At Port Denarau, some inter-island cruise and ferry services were resumed today, with services to the Mamanuca and Yasawa Islands expected to be fully operational from tomorrow (4 April). Roads and bridges from Nadi International Airport to Denarau and the Coral Coast that were flooded over the weekend are passable, as nearby river waters have receded to normal levels. Remaining road and bridge issues are expected to be resolved over the next few days. Further updates will be issued as more information becomes available. Australia boasts over 500 national parks and a unique landscape so it's no wonder outdoor activities such as bushwalking are very much a part of our lifestyle and not just something enjoyed by outdoor enthusiasts. That's why Magellan has introduced the new eXplorist 110 outdoor hand-held GPS – it offers easy to use quality outdoor navigation specifically designed for those who enjoy activities such as hiking, cycling and camping. "Australians love the outdoors – we are blessed with so much natural beauty. You don't have to be the Bear Gryllis type to enjoy this great land. We developed the Magellan eXplorist 110 so that individuals, families, young adults, couples, groups and even older Australians can enjoy outdoor leisure activities on the weekends, holidays or any time they like," Paris Basson, Magellan Australia. "The eXplorist 110 provides essential information people need to make the most of their outdoor activities and helps users feel safer to explore and enjoy nature. For example, one of the model's most handy features is a breadcrumbs option that allows users to keep track of their steps and backtrack so they are able to return to their base camp safely and keep a record of where they have travelled. For a tiny price of under $150.00 it offers so much fun and peace of mind." Paris said. 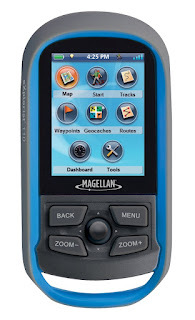 Other features the Magellan eXplorst 110 offers includes a coloured transflective screen that is readable in direct sunlight. It also shows shaded relief backgrounds on the world edition map, a Hunt and Fish calendar with useful tidal information for fisherman as well as Sun and Moon calendar that tells users the time the sun sets to help them prepare for when it gets dark. The model is also waterproof, can store 500 waypoints and can be clipped to a lanyard so it sits comfortably around your neck or off your backpack or bike. It can also be used for Geocaching, a real life game of treasure hunting where players search for caches hidden by other players. The model joins five other products in the Magellan eXplorist range including the Magellan eXplorist GC, Magellan eXplorist 310, Magellan eXplorst 510, Magellan eXplorist 610 and the Magellan eXplorist 710. The Magellan 110 will be available from 10 April 2012 and has a recommended retail price of $149. It can be purchased at major outdoor retailers such as Rays Outdoors and BCF. For more details see www.magellan.com.au. April 2012: eWaterways (www.ewaterways.com.au), the niche and river cruise experts, are delighted to announce a new river cruise vessel which will cater exclusively for the premium market. The flagship vessel will join the Amadeus fleet in April 2013 and her maiden voyage will be on the Dutch and Belgian waterways. The famous Dutch "De Hoop" firm was commissioned to build the 135m river cruiser at its shipyard in Lobith, the Netherlands, where the keel has already been laid. The celebrated naval architects from "Art Line" have been entrusted with planning and designing the extra public spaces on board so that the best possible use is made of them. "Offering magnificent design coupled with guaranteed comfort this vessel meets with the customary high premium standards of the Amadeus fleet", explains Peter Smith, GM of eWaterways and sales partner of Lueftner Cruises for the past 4 years. The AMADEUS SILVER will have a total of 78 enlarged standard cabins (16m²) and the 12 AMADEUS Suites (24m²), moreover, have 'walk-out' exterior balconies with their own seating groups, enormous panoramic windows and comfortable bathrooms with bath, separate WC and separate shower. The "River Terrace" open-air lounge in the bow will be a special feature of this ship. An unusual glazing solution offers passengers an open-air terrace on which to relax, offering good views of the river and scenery whilst still being protected from the wind. The new Café Vienna on board will tempt passengers with its Austrian coffee and 'Sachertorte' specialities, and for sports enthusiasts, the new design also has an unusual feature, as the AMADEUS SILVERS's spacious fitness studio spreads over two decks and thus has sufficient height to allow for the use of various training equipment. Following her maiden voyage and for the rest of the 2013 season, the Amadeus Silver will operate between Amsterdam and Budapest with prices starting from $2999 per person for a 15 day cruise. At full capacity, the Amadeus Silver will cater for 180 guests in a total of 90 luxuriously appointed cabins with flatscreen TVs and other mod cons to promise a memorable and refined cruise holiday. The Austrian hospitality and stunning décor is complemented with modern facilities including a deluxe salon, golf putting area, fitness room over two floors, onboard hairdresser and massage. Guests will enjoy exquisite dining, a convivial atmosphere and of course, Europe's most stunning vistas. Mantra Group, Tropical North Queensland's largest accommodation provider, is preparing for a stellar peak tourism season with the announcement of increased flights into Cairns, the gateway to the Far North. Last week, Jetstar announced they have increased their Japan to Cairns flights from four flights a week, adding an extra 4500 seats a week into the Tropical North Queensland to cater for the growing demand for inbound tourism from Japan. The low-cost airline also announced the reintroduction of their Auckland to Cairns service in early April. 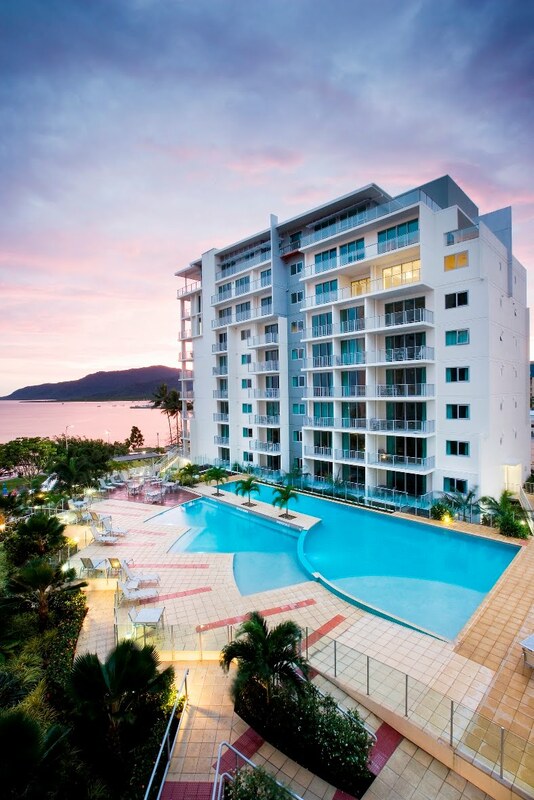 "With more than 1,000 rooms available in Mantra Group's Peppers, Mantra and BreakFree properties in Cairns, Palm Cove and Port Douglas, we are well placed to service the expected increase in visitors," said Mantra Group CEO, Bob East. "The tourism sector will obviously benefit hugely from this and our network of 11 Peppers, Mantra and BreakFree properties in Tropical North Queensland suit a range of travellers offering accommodation ranging from self-contained apartments to luxury resorts." Several domestic routes have also been ramped up recently including Jetstar's Melbourne-Cairns route, Tiger Airways' Melbourne-Cairns and Virgin's Brisbane-Cairns. *Subject to availability. Valid until 7 October, 2012. Block out dates apply and a three night minimum stay applies with one free night per booking. Having successfully opened our first hotel in India – Swissôtel Kolkata – in July 2010, Swissôtel Hotels & Resorts, has just signed a management contract for a flagship project in India: Swissôtel Grand Mumbai. Due to open in 2014, this is in addition to one more hotel under development for the brand in Bangalore. Located on Andheri Kurla Road in the heart of the new business district in the north of Mumbai, the new Swissôtel Grand Mumbai will offer a total of 300 guest rooms, executive rooms and suites. The Andheri Kurla area, which has approximately 20% of Mumbai's commercial office space supply, also features new shops and restaurants as well as a new metro line. Swissôtel Grand Mumbai is strategically situated in this prominent business district of the city with easy access to the international airport. The hotel's conference and banqueting facilities will occupy a total area of around 1600m² including the main ballroom measuring 500m2 alone. The hotel will also have a sanctuary for relaxation and rejuvenation - the Pürovel Spa & Sport center. Mumbai is the commercial and entertainment capital of India, it is also one of the world's top 10 centres of commerce in terms of global financial flow, generating 70 per cent of maritime trade in India and 70 per cent of capital transactions to India's economy. A state of emergency remains in place as a tropical depression continues to affect Fiji with strong winds, thunderstorms and periods of heavy rain causing localised flooding. However the Fijian Government has now lifted the temporary embargo on airlines carrying passengers on flights into Fiji effective as of 1:00pm (Fiji local time), Monday 02 April 2012.
International visitors to Fiji must also be aware that while every effort is being made to minimize inconvenience that has resulted from the current inclement weather, services and transportation within Fiji are not as yet at their optimum levels. The damaged roads that had blocked Nadi off from other areas of the country are now passable and passengers need to be aware that they need to check directly with their hotels to ensure accommodation availability. Domestic air services between Suva and Nadi are operating but services to the outer islands including Vanua Levu, Taveuni and Savusavu have been cancelled and passengers should contact Pacific Sun regarding schedules. On the water, inter-island cruise and ferry services to the Mamanuca and Yasawa Islands are operating on a limited basis to transport guests to Nadi and Nadi International Airport. Transporting of passengers from major hotels on the Coral Coast to Nadi International Airport has resumed. The road linking Nadi International Airport and the Denarau Island resort complex is operational however is subject to high tides and flooding. While resources are strained hotels and resorts across the destination have continued to provide services to their guests and no reports of damage to any major hotel or resort have been received. On the weather front a tropical depression that was located approximately 720 kilometres south south west of Nadi at 9.00am this morning is expected to intensify and cause periods of rain and squally thunderstorms. A tropical cyclone warning is in place for Fiji and a gale warning remains in force for western Viti Levu, Yasawa and Mamanuca group, southern Lau, Kadavu and nearby smaller islands. There is also a severe flood warning for all major rivers, streams and low lying areas of Viti Levu. Tourism Fiji will advise further on a regular basis as more information comes to hand.